When considering the construction of a new swimming pool you will want to start off the process by planning for a successful result. Our cost for swimming pool design (not including engineering) runs about 2% of our estimated retail construction value, but the value received in gaining a thorough and complete design approach (that leaves nothing to guesswork), is priceless! By developing your specification below, we will be able to more closely determine the costs for construction and help you attach “measurable accountability” to the meaning for value in a price. 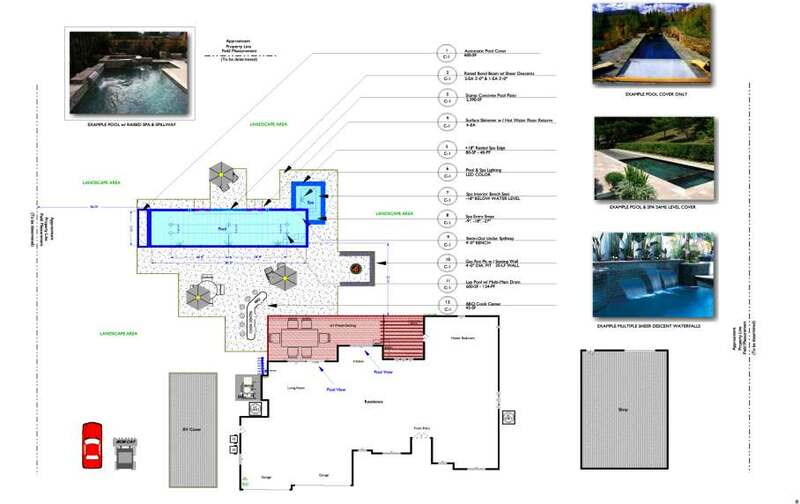 Our design process numerically identifies the design elements of which a swimming pool may represent only one of the many usages of the space available. Planning begins with conceptualizing and conceptualizing begins with imagining shapes and dimensional proportions that can make good use of the space available, but conceptual imaginary designs don’t provide affirmative direction that can chart the course to reality. By clicking on the image below you can view our “Design Conceptualization” that enabled us to plan and construct this project. How concepts become reality, from good planning! The photo images below are of the completed project that is represented on the plan above. Please engage this project’s portfolio gallery in order to see how our imaginative planning became reality!. We realize that planning for a new swimming pool can be a bit overwhelming, so in order to ease the uncertainty of getting it right for your family, we have provided you with some sample pool shapes with photo examples of the each one of the completed pools. In order to view any one of these (32) sample shapes, please click HERE. Be sure to use your Browser’s “BACK ARROW” to return to this page! Please review our questioner form below, which can help you outline the correct components for building a 1st Class project! 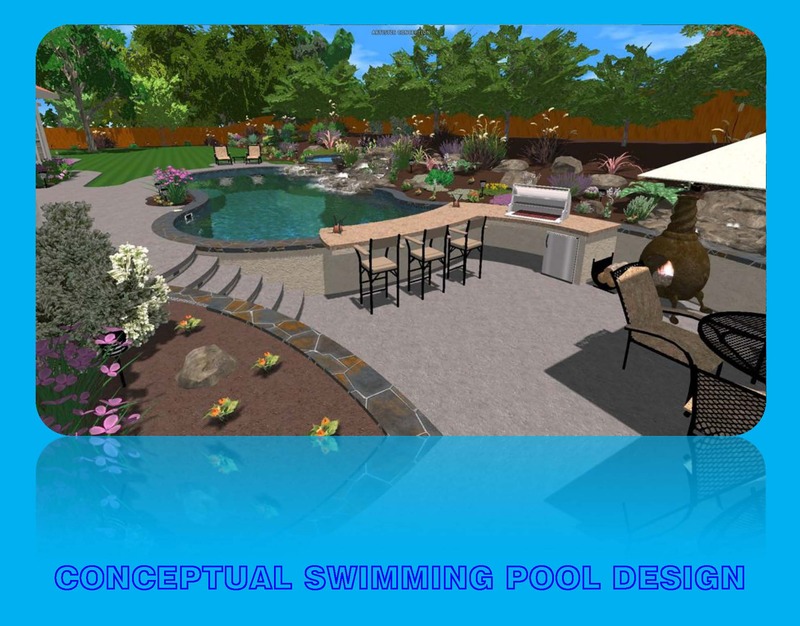 A swimming pool design can also express further depth in meaning through explicative exhibits.